Those eyes, they look straight into your soul, don’t they? Gosh, what a great photo of our friend Montavious! His easy smile belies a tough childhood, one that has taught Montavious to be self-reliant and more than a little stubborn about doing it his way. But for Montavious, that stubborn streak is really a way to test you to make sure you’re still going to love and support him. He dreams of being a part of a family again, but not just any family. Montavious needs (and wants!) a family that will provide a balance of structure, consistency, and reasonable flexibility. Y’all, Montavious is *such* a good kid! He is a lovable kid that will make an amazing son for the right family. 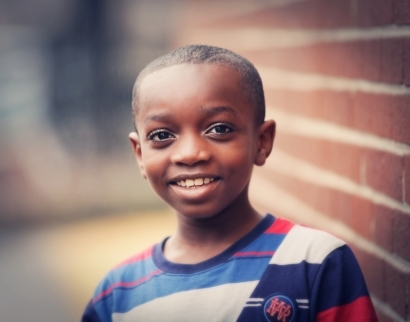 Open your heart to the possibility—will Montavious be your little boy? For more information, inquire below.